Miami-Dade, Broward, Palm Beach County of Florida only. Installing curbside mailboxes is a strenuous and dirty job. While digging the hole you may encounter roots, utilities or sprinkler pipes. Most installations are located in marl, which is a compact mixture of limestone rock and limestone sand that is almost as hard as concrete. Some areas of South Florida have a solid limestone bed just underneath the surface which was formerly a coral reef. Typically we use a post hole digger, jackhammer, breaker bar, flat shovel and spade. Our installations includes removal and disposal of your old post and mailbox. Preparing the hole 20" to 24" deep, setting the post in 40 to 80 lbs. of concrete, assembly, application of address numbers and red mulch for a finishing touch. Every mailbox is installed to USPS Regulation unless you have requested otherwise. There is no need for you to do this back breaking work, we can usually get it done within a few business days of purchase. If your mailbox is broken and unserviceable we will replace it two business days. Appointments are usually not necessary. 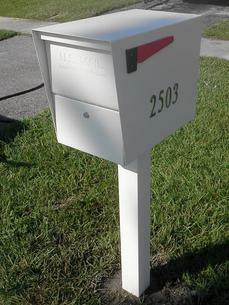 Curbside installation of a curbside mailbox purchased from Excellent Mailbox is $100.00. If your existing mailbox post is constructed of concrete there is an additional charge of $25.00 for removal and disposal. Curbside installation of a curbside mailbox purchased elsewhere is $125.00. If your existing mailbox post is constructed of concrete there is an additional charge of $25.00 for removal and disposal. Installation and workmanship on our curbside installations are guaranteed for one year from date of installation. All posts are guaranteed to stand true for one year accept in cases where damage occurred by lawn maintenance equipment, vehicles, vandalism, acts of nature or other incidental damages. Warranty on parts vary with manufacturer. We provide sales and installation service of curbside mailboxes. Your community chooses to maximize curb appeal by using uniform mailboxes throughout the neighborhood. For additional curb appeal we feel it is our duty to install every mailbox with tight tolerances in distance and height from road grade. In our travels through HOA communities we see that some of our competitors install them inconsistently. We guarantee in writing to adhere to this superior installation procedure. Hiring the right installer can make a big difference in your project. Our products range from inexpensive to top of the line custom built products. We can match many existing designs and will upon request be your preferred vendor to keep your mailbox replacement parts in stock for immediate replacement. We also match design and paint for street signs and street lighting to our custom mailboxes. Custom sign printing service is also available. All of our Proposals include installation procedure and warranty. We provide sales and installation service for Vertical, 4B+, 4C and CBU's. Every commercial installation is unique and requires an appointment to survey your needs while conforming to USPS Regulations. If your establishment is ADA Compliant please inform us, there are additional rules which need to be followed. We are knowledgeable on all regulations and requirements and will make sure your job is completed properly. In some cases approval is required by your local Post Office, we handle that for you. When replacing existing commercial mailboxes we work directly with your local Post Office to have remaining mail picked up by your letter carrier. We inform them when the job is complete so they can install their master locks and restore delivery service. Generally mail delivery service is suspended for 3 to 5 days during this mailbox replacement procedure. Tenants can pick up their mail at the local Post Office during this time, photo ID is required. 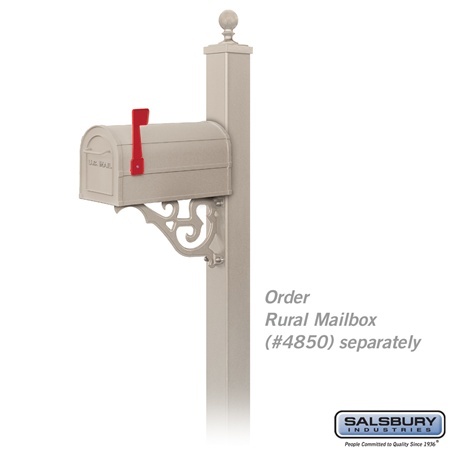 These mailboxes are approved for replacement or retrofit installations. 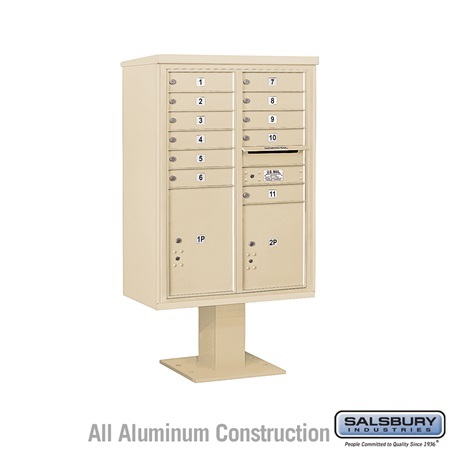 For new construction or major renovations 4C mailboxes must be used. Vertical mailboxes need to be under cover and not exposed to direct rain. Often the existing vertical mailboxes are smaller than new models causing needed alterations to your wall.. During our sales appointment we will determine if any alterations to your wall will be necessary. We may offer more than one installation option to meet your needs. In most case we are able to make necessary alterations to your space during our installation. We can also apply a decorative molding surround to beautify the installation. Mailboxes are regulated by the United States Postal Service therefore fall under Federal jurisdiction. A building permit should not required by your city or county for the installation of mailboxes. 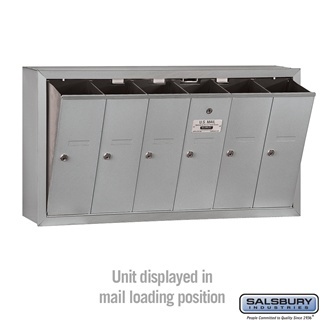 All of our mailbox installations are guaranteed to meet USPS Regulations. Your Homeowner's Association may have their own requirements that you must adhere to. In most cases we are able to meet these requirements. 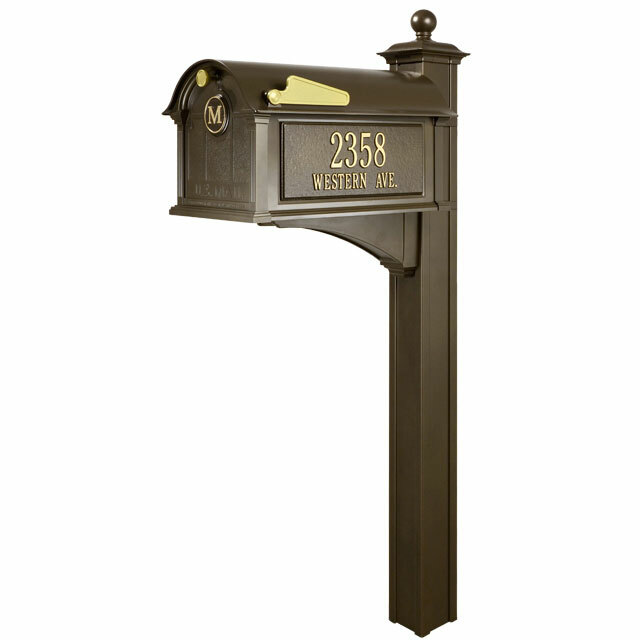 We are licensed and insured to sell and install mailboxes and posts.